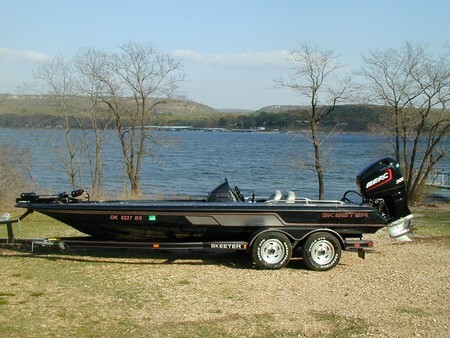 1998 21 ft. Skeeter ZX210c Mercury Pro Max 300 LTM. Single console, Gray interior, Midnight black and silver hull. Standard features plus Lowrance in dash, 3 Bank on-board battery charger, Hydraulic steering, Motorguide foot control trolling motor, Lowance X35, Custom tandem. Used/One Owner - Has Rite-Hite 12" hydraulic jackplate. Good condition - Stored in garage.